Looking for a budget smartphone? Lava A55 is the handset you should consider purchasing. This handset comes equipped with a 4-inch 480 pixel resolution display, which is just perfect measure of compactness. Sporting a 1 GB RAM and 8GB internal storage makes Lava A55 a good handset in terms of specifications. In the camera department, it comes equipped with a 5MP rear camera and a 0.3MP front facing camera. It’s running on Android 6.0 Marshmallow based operating system. All this is powered by a 1550 mAh capacity battery. Is Lava A55 price worthy of its specifications? It just might be! 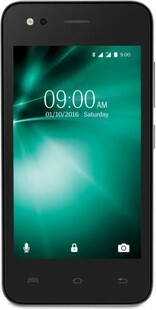 Lava A55 full specs and reviews as of Apr 2019. Buy it here!